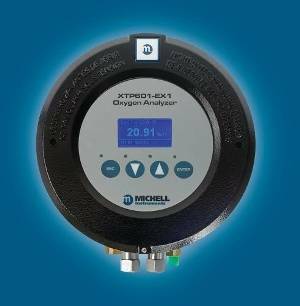 A major Scandinavian producer of Biogas has selected Michell Instruments’ XTP601 oxygen analyzers to monitor O2 levels for safety and quality at two sites in Sweden. One plant produces biogas from sewage and while the other uses food and garden waste, however the biogas from both plants is used as a transport fuel. Despite the different feedstocks, the process of upgrading the gas for use is the same. The biogas must be upgraded to 95% methane, which will give it a high enough calorific value to produce the energy required for transport fuel. It will also make it highly flammable – which is why it is important to keep levels of oxygen low during the process. The XTP601 provides stable, accurate readings and is capable of measuring oxygen from 0-1% up to 0-50% as well as suppressed zero ranges, such as 90-100%. There are three options for configuration: a transmitter; a transmitter with status LEDs or a full display version. All of these options may be rated for either safe or hazardous area use, with hazardous area classifications available for ATEX, IECEx and CSA. The full display version of the XTP601 has a touch screen interface to enable easy operation without needing to remove the lid. This means that users can calibrate, change settings and interrogate the instrument in the hazardous area without the need for a ‘hot permit’ or permission to carry out work. Menus allow easy access to information on oxygen concentration; analyser status; a graph showing oxygen trends over a user-defined time period; alarm history; minimum and maximum concentrations and other parameters to aid diagnosis of plant conditions.